Just £25 keeps a child in school for a year. A donation of just £2 per month covers most of this cost. £5 per month would give more hope and opportunity to improve lives. Become a Link Supporter and help us to keep 200 children in school. Your money provides the bags, books and equipment needed that their families who may be earning as little as $1 a day cannot afford. The schools have a small sum to buy educational and cleaning materials and we employ a local person to run this project for us with a committee of teachers made up from each of the schools our children attend. 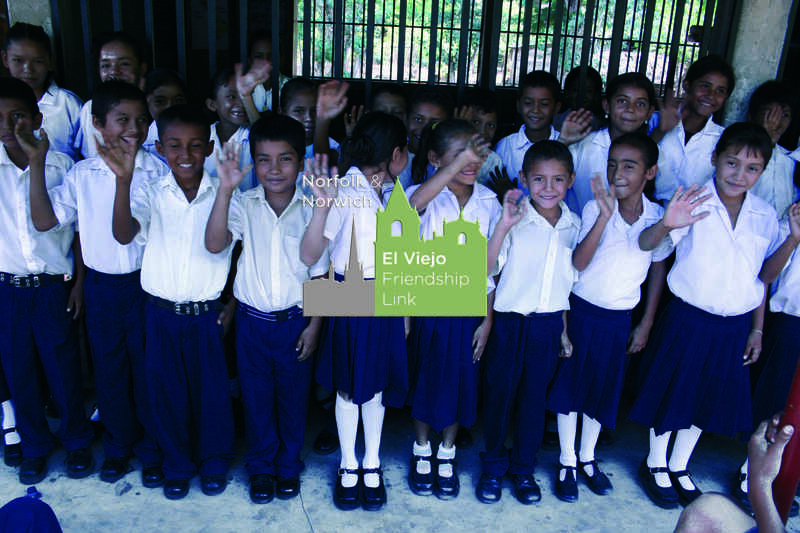 The Link works with eight schools in the poor areas of Norwich’s twin city of El Viejo in Nicaragua. We fund 200 scholarships each year to provide primary education to children from poor families who would not be able to go to school without our help. The link is always ready to welcome new members. You can join by completing the Member Application Form, and sending it to the Link treasurer at the address shown on the form. Membership by standing order is recommended to provide a more certain and steady income for the Link. We are a registered charity. Our charity number is 1156787. This means you can use Gift Aid to boost your donation. If you can, please complete the Gift Aid Form and send it with your Member Application Form to the Link Treasurer. This means we can claim an extra 25p for every pound you donate at no extra cost to you. You may prefer to make a one-off or recurring donation to our Vigin Money Giving fundraising page.